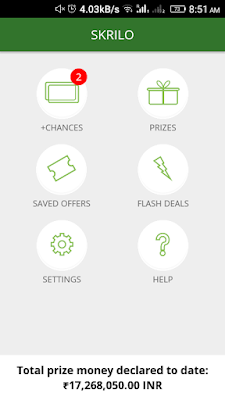 On Skrilo you earn chances (tickets) for viewing offers and special promotional materials. Offers are usually discount offers from Flipkart, Amazon, etc. Besides this, you’ll also get to see movie posters and more. 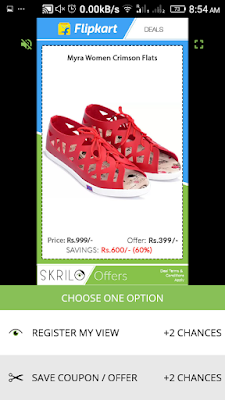 Open the Skrilo App and click on +Chances to view the advertisements. After a few seconds, these buttons will appear. Click on REGISTER MY VIEW to collect your chances. Daily Chances: Daily Chances are used for Daily Lucky Draws. These are reset to 0 at midnight. 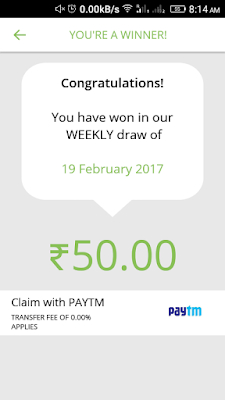 Weekly Chances: Similarly, Weekly chances gives you entry in Weekly Lucky Draws. You don't have to collect weekly chances separately. The chances that you earn every day(daily chances) add up to form weekly chances e.g., you earned 10 chances every day then your weekly chances at the end of the week will be 70. Weekly chances reset at the end of the week. 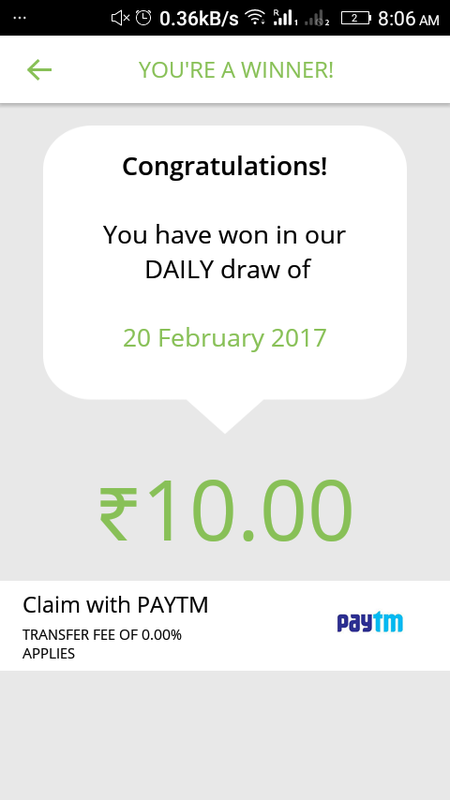 Monthly Chances: All your daily chances are accumulated to form monthly chances, which gives you entry in the monthly lucky draw. Chances (tickets) are available to claim several times a day, so make sure you check before going to bed (12 am). Approximately there are 10-20 chances each day. You can earn more chances by referring your friends. 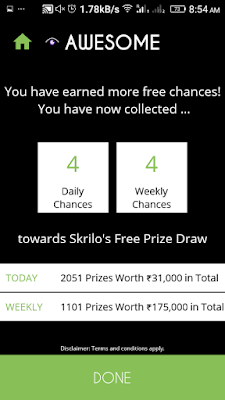 For each person that downloads the Skrilo App through your link and register, you get 2 Chances, and your referral will get 10 bonus chances for being your referral. For example, this is my referral link, when you download Skrilo with my link & register you’ll get 10 chances and I will get 2. On Skrilo you can only win cash prizes in Daily and Weekly Lucky Draws. The cash prizes range from Rs. 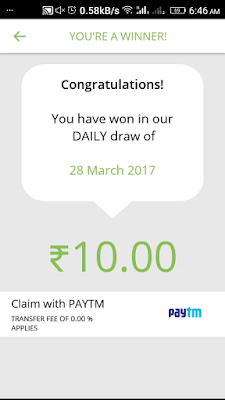 10 to 1, 00,000 and you can get paid through PayTm. See the below screenshot know the prize distribution. Like the title suggests, prizes are distributed every day. In Weekly Lucky Draws, winners are selected at the end of the week (Saturday/Sunday). Your daily chances add up in weekly chances. In monthly draws, there is only one prize of 1,00,000. Top 50 users with the highest chances are also given cash prizes daily and weekly as shown in the screenshot. Winners are decided randomly, through draws. Your number is put into the list of numbers according to your chances, and the computer decides the winners randomly. For example, if you have 10 chances your number will be added to the list 10 times. Thus, having more chances increases your probability of winning. But, since winners are decided randomly, even users with fewer chances may win. So, even if you have a few chances or tickets, you can still win. But, as I said earlier having more chances increases your probability of winning. 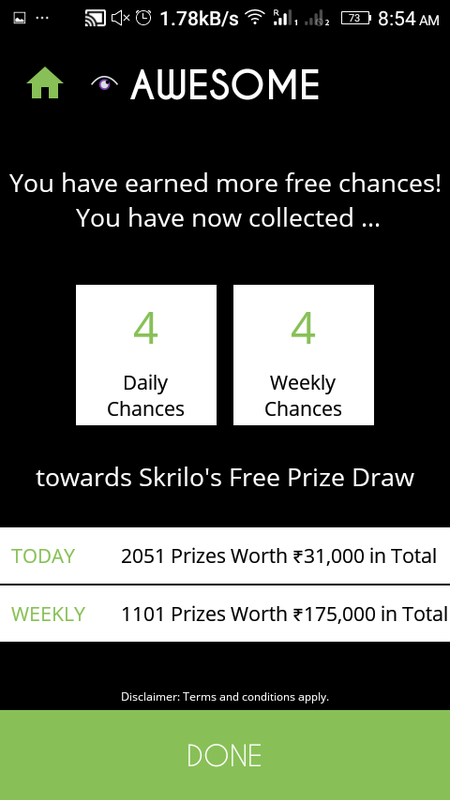 Skrilo also rewards the top 50 users daily and 100 users weekly on the leader board who have the highest chances. Daily 50 users (from Daily leaderboard) are awarded Rs. 50 PayTM cash while 100 users (From weekly leaderboard)are given Rs. 100, weekly. 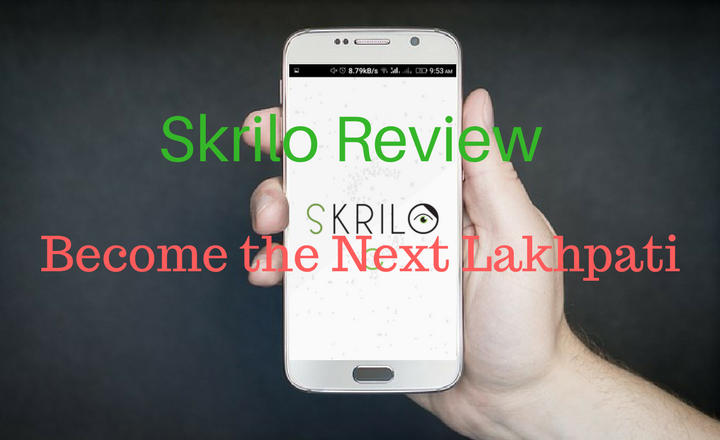 Download the Skrilo app with the given below link and register to get started with 10 bonus chances for the Lakhpati Lucky draw.